On Tuesday, July 21st, this year’s International Cognitive Linguistics Conference will host a theme session on “Cognitive Linguistics and the Evolution of Language” co-organized by three Replicated Typo authors: Michael Pleyer, James Winters, and myself. In addition, two Replicated Typo bloggers are co-authors on papers presented in the theme session. The general idea of this session goes back to previous work by James and Michael, who promoted the idea of integrating Cognitive Linguistics and language evolution research in several conference talks as well as in a 2014 paper – published, quite fittingly, in a journal called “Theoria et Historia Scientiarum”, as the very idea of combining these frameworks requires some meta-theoretical reflection. As both cognitive and evolutionary linguistics are in themselves quite heterogeneous frameworks, the question emerges what we actually mean when we speak of “cognitive” or “evolutionary” linguistics, respectively. I might come back to this meta-scientific discussion in a later post. For now, I will confine myself to giving a brief overview of the eight talks in our session. The full abstracts can be found here. The first stage, logically, had to be a symbolic reference in what I term a words-to-world direction, bootstrapping extant capacities that Autralopithecines, and later ancestral Homo shared with the great apes. But the emergence of a grammatical capacity is also associated with a shift towards a words-to-words direction symbolic reference: words and other grammatical constructions can symbolically refer to other symbolic units. Roz Frank (Iowa) then outlines “The relevance of a ‘Complex Adaptive Systems’ approach to ‘language’” – note the scarequotes. She argues that “the CAS approach serves to replace older historical linguistic notions of languages as ‘organisms’ and as ‘species’”. Sabine van der Ham, Hannah Little, Kerem Eryılmaz, and Bart de Boer (Brussels) then talk about two sets of experiments investigating the role of individual learning biases and cultural transmission in shaping language, in a talk entitled “Experimental Evidence on the Emergence of Phonological Structure”. Treating language as a biocultural niche yields a new perspective on both the human language capacity and on the evolution of this capacity. It also enables us to understand the significance of language as the symbolic ground of the special subclass of symbolic cognitive artefacts. these two kinds of processes and capacities evolved ‘in tandem’: A gradual increase in the role of culture (learned patterns of behaviour) produced differences and thus competition between groups of (proto-)humans, which in turn provided selection pressures for an increased capability and motivation of individuals to engage in collaborative activities with others. (i) To what extent does the situational context influence the encoding of features in the linguistic system? (ii) How does the effect of the situational context work its way into the structure of language? The final talk, entitled “Communicating events using bodily mimesis with and without vocalization” is co-authored by Jordan Zlatev, Sławomir Wacewicz, Przemysław Żywiczyński, andJoost van de Weijer (Lund/Torun). They introduce an experiment on event communication and discuss to what extent the greater potential for iconic representation in bodily reenactment compared to in vocalization might lend support for a “bodily mimesis hypothesis of language origins”. In the closing session of the workshop, this highly promising array of papers is discussed with one of the “founding fathers” of modern language evolution research, Jim Hurford (Edinburgh). But that’s not all: Just one coffee break after the theme session, there will be a panel on “Language and Evolution” in the general session of the conference, featuring papers by Gareth Roberts & Maryia Fedzechkina; Jonas Nölle; Carmen Saldana, Simon Kirby & Kenny Smith; Yasamin Motamedi, Kenny Smith, Marieke Schouwstra & Simon Kirby; and Andrew Feeney. The issue of multimodality has become a widely discussed topic in several branches of linguistics and especially in research on the evolution of language. Now, a special issue of the “Philosophical Transactions of the Royal Society B” has been dedicated to “Language as a multimodal phenomenon”. The issue, edited by Gabriella Vigliocco, Pamela Perniss, and David Vinson, features a variety of interesting papers by outstanding scholars from different fields such as gesture research, signed language research, neurolinguistics, and evolutionary linguistics. For example, Susan Goldin-Meadow discusses “what the manual modality reveals about language, learning and cognition”, arguing that, in child language acquisition, manual gestures “precede, and predict, the acquisition of structures in speech”. Mutsumi Imai and Sotaro Kita propose a “sound symbolism bootstrapping hypothesis for language acquisition and language evolution”, arguing that “sound symbolism helps infants and toddlers associate speech sounds with their referents to establish a lexical representation” and that sound symbolism might be deeply related to language evolution. The special issue is available here. Some of the papers are open access, all others can be accessed freely until October 19th ( User name: language; Password: tb1651 – since this information was distributed by the Royal Sociaty via several mailing lists, I guess I’m free to share it here). A new paper by Bentz et al. is available for preview here. It is about a correlation between the lexical diversity of languages and the presence of non-native speakers in a population. This is particularly relevant to the work by Lupyan & Dale (2010), who found that morphological complexity within a language correlates with the population size of a language. 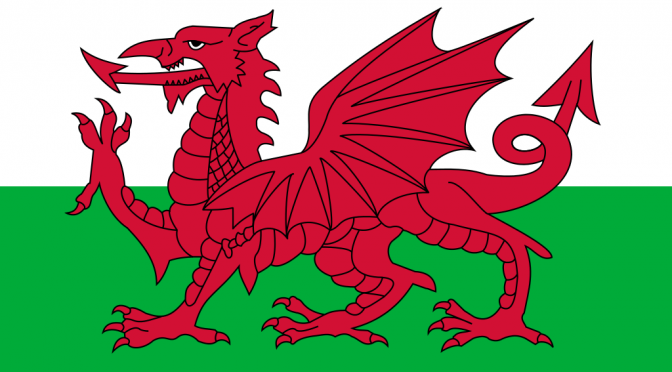 It’s reasonable to expect that the percentage of second language speakers within a population will be affected by the size of a speaker population. There has been a lot of talk on this blog in the past about correlations between population structure and linguistic structure. There’s a pretty comprehensive page here covering some of the (spurious) correlations covered on the blog in the past. Bentz. et al. are however aware of the criticisms raised by Sean and James in their Plos one paper, and are all for a pluralistic approach and state that “there needs to be independent evidence for a causal relationship” before covering qualitative and quantitative evidence from other areas. Explaining the diversity of languages across the world is one of the central aims of historical and evolutionary linguistics. This paper presents a quantitative approach to measure and model a central aspect of this variation, namely the lexical diversity of languages. Lexical diversity is defined as the breadth of word forms used to encode constant information content. It is measured by means of comparing word frequency distributions for parallel translations of hundreds of languages. The measure is based on indices used in studies of biodiversity and in quantitative linguistics, i.e. Zipf-Mandelbrot’s law, Shannon entropy and type-token ratios. Three statistical models are given to elicit potential factors driving languages towards less diverse lexica. It is shown that the ratio of non-native speakers in languages predicts lower lexical diversity. This suggests that theories focusing on native acquisition as driving force of language change are incomplete. Instead, we argue that languages are information encoding systems shaped by the varying needs of their speakers. Language evolution and change should be modeled as the co-evolution of multiple intertwined adaptive systems: On one hand, the structure of human societies and human learning capabilities, and on the other, the structure of language. It’s over but there’s loads of cool papers I didn’t cover. Below is probably not a definitive list because there are SO MANY papers here, but here’s a good flavour of of the more language evolutiony offerings. In no particular order. In humans, gestural communication is closely intertwined with language: adults perform a variety of manual gestures, head movements and body postures while they are talking, children use gestures before they start to speak, and highly conventionalized sign systems can even replace spoken language. Because of this role of gestures for human com-munication, theories of language evolution often propose a gestural origin of language. In searching for the evolutionary roots of language, a comparative approach is often used to investigate whether any precursors to human language are also present in our closest relatives, the great apes, because of our shared phylogenetic history. Therefore, the aim of this symposium is to present recent progress in the field of language evolution from both a developmental and compa-rative perspective and to discuss the question if and to what extent a comparison with nonhuman primates is suitable to shed light on possible scenarios of language evolution. When English speakers successively pile-sort colors, their sorting recapitulates an independently proposed hierarchy of color category evolution during language change (Boster, 1986). Here we extend that finding to the semantic domain of spatial relations. Levinson et al. (2003) have proposed a hierarchy of spatial category evolution, and we show that English speakers successively pile-sort spatial scenes in a manner that recapitulates that proposed evolutionary hierarchy. Thus, in the spatial domain, as in color, proposed universal patterns of language change based on cross-language observations appear to reflect general cognitive forces that are available in the minds of speakers of a single language. Systematicity is a basic property of language and other culturally transmitted behaviours. 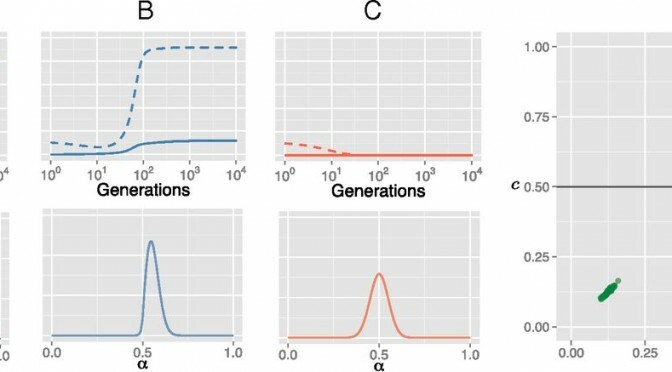 Utilising a novel experimental task consisting of initially independent sequence learning trials, we demonstrate that systematicity can unfold gradually via the process of cultural transmission. Combinatoriality—the recombination of a small set of basic forms to create an inﬁnite number of meaningful units—has long been seen as a core design feature of language, but its origins remain uncertain. Two hypotheses have been suggested. The ﬁrst is that combinatoriality is a necessary solution to the problem of conveying a large number of meanings; the second is that it arises as a consequence of conventionalisation. We tested these hypotheses in an experimental-semiotics study. Our results supported the hypothesis based on conventionalisation but offered little support for the hypothesis based on the number of meanings. This article reports on an experiment in which artificial languages with whistle words for novel objects are culturally transmitted in the laboratory. The aim of this study is to investigate the origins and evolution of combinatorial structure in speech. Participants learned the whistled language and reproduced the sounds with the use of a slide whistle. Their reproductions were used as input for the next participant. Cultural transmission caused the whistled systems to become more learnable and more structured. In addition, two conditions were studied: one in which the use of iconic form-meaning mappings was possible and one in which the use of iconic map- pings was experimentally made impossible, so that we could investigate the influence of iconicity on the emergence of structure. Language exhibits structure: a species-unique system for expressing complex meanings using complex forms. We present a review of modelling and experimental literature on the evolution of structure which suggests that structure is a cultural adaptation in response to pressure for expressivity (arising during communication) and compressibility (arising during learning), and test this hypothesis using a new Bayesian iterated learning model. We conclude that linguistic structure can and should be explained as a consequence of cultural evolution in response to these two pressures. Languages around the world share a number of commonalities known as language universals. We investigate whether the existence of some recurrent patterns can be explained by the learner’s preference to balance the amount of information provided by the cues to sentence meaning. In an artificial language learning paradigm, we expose learners to two languages with optional case-marking – one with fixed and one with flexible word order. We find that learners of the flexible word order language, where word order is uninformative of sentence meaning, use significantly more case-marking than the learners of the fixed word order language, where case is a redundant cue. The learning outcomes in our experiment parallel a variety of typological phenomena, providing support for the hypothesis that communicative biases can shape language structures. Language learners tend to regularize unpredictable variation and some claim that is due to a language-specific regularization bias. We investigate the role of task difficulty on regularization behavior in a non-linguistic frequency learning task and show that adults regularize variable input when tracking multiple frequencies concurrently, but reliably reproduce the variation they have observed when tracking one frequency. These results suggest that regularization behavior may be due to domain-general factors, such as memory limitations. Communication systems reliably self-organize in populations of interacting agents under certain conditions. The various fields which model this – game theory, cognitive science and evolutionary linguistics – make different assumptions about the learning and behavioral processes which are responsible. We created an exemplar-based framework to directly compare these approaches by reproducing previously published models. Results show that a number of mechanisms are shared by the systems which can construct optimal communication. Three general factors are then proposed to underlie any self-organizing learned system. Models of cognitive processes often include simplifications, idealisations, and fictionalisations, so how should we learn about cognitive processes from such models? Particularly in cognitive science, when many features of the target system are unknown, it is not always clear which simplifications, idealisations, and so on, are appropriate for a research question, and which are highly misleading. Here we use a case-study from studies of language evolution, and ideas from philosophy of science, to illustrate a robustness approach to learning from models. Robust properties are those that arise across a range of models, simulations and experiments, and can be used to identify key causal structures in the models, and the phenomenon, under investigation. For example, in studies of language evolution, the emergence of compositional structure is a robust property across models, simulations and experiments of cultural transmission, but only under pressures for learnability and expressivity. This arguably illustrates the principles underlying real cases of language evolution. We provide an outline of the robustness approach, including its limitations, and suggest that this methodology can be productively used throughout cognitive science. Perhaps of most importance, it suggests that different modelling frameworks should be used as tools to identify the abstract properties of a system, rather than being definitive expressions of theories. The relationship between individual cognition and cultural phenomena at the society level can be transformed by cultural transmission (Kirby, Dowman, & Griffiths, 2007). Top-down models of this process have typically assumed that individuals only adopt a single linguistic trait. Recent extensions include ‘bilingual’ agents, able to adopt multiple linguistic traits (Burkett & Griffiths, 2010). However, bilingualism is more than variation within an individual: it involves the conditional use of variation with different interlocutors. That is, bilingualism is a property of a population that emerges from use. A bottom-up simulation is presented where learners are sensitive to the identity of other speakers. The simulation reveals that dynamic social structures are a key factor for the evolution of bilingualism in a population, a feature that was abstracted away in the top-down models. Top-down and bottom-up approaches may lead to different answers, but can work together to reveal and explore important features of the cultural transmission process. Human speech universally exhibits a 3- to 8-Hz rhythm, corresponding to the rate of syllable production, which is reflected in both the sound envelope and the visual mouth movements. Artificial perturbation of the speech rhythm outside the natural range reduces speech intelligibility, demonstrating a perceptual tuning to this frequency band. One theory posits that the mouth movements at the core of this speech rhythm evolved through modification of ancestral primate facial expressions. Recent evidence shows that one such communicative gesture in macaque monkeys, lip-smacking, has motor parallels with speech in its rhythmicity, its developmental trajectory, and the coordination of vocal tract structures. Whether monkeys also exhibit a perceptual tuning to the natural rhythms of lip-smacking is unknown. 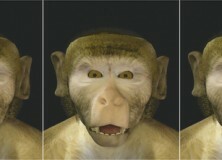 To investigate this, we tested rhesus monkeys in a preferential-looking procedure, measuring the time spent looking at each of two side-by-side computer-generated monkey avatars lip-smacking at natural versus sped-up or slowed-down rhythms. Monkeys showed an overall preference for the natural rhythm compared with the perturbed rhythms. This lends behavioral support for the hypothesis that perceptual processes in monkeys are similarly tuned to the natural frequencies of communication signals as they are in humans. Our data provide perceptual evidence for the theory that speech may have evolved from ancestral primate rhythmic facial expressions. As has been covered on this blog before, a lot of research on speech evolution has focused on the descended larynx. This new research adds to the body of work that suggest that anatomy might not be as important as first imagined, and that neural control and vocal learning may be much more important. 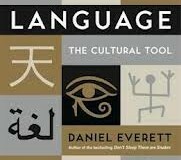 The 20th anniversary special commemorative issue of Pragmatics & Cognition features a number of interesting articles which comment on linguist Dan Everett‘s 2012 book “Language: The Cultural Tool“. 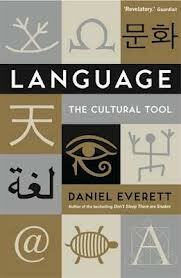 In this book, Everett, who is best known for his work on the indigenous language Pirahã, argues for the important of culture and interaction and against the Chomskyan idea of innately specified, specifically linguistic knowledge or architecture. The issue also includes replies by Dan Everett to each of his commentators. Unfortunately, the articles are all behind a paywall, but the abstracts already make some interesting points. We propose a novel account for the emergence of human language syntax. Like many evolutionary innovations, language arose from the adventitious combination of two pre-existing, simpler systems that had been evolved for other functional tasks. 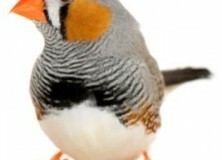 The first system, Type E(xpression), is found in birdsong, where the same song marks territory, mating availability, and similar “expressive” functions. The second system, Type L(exical), has been suggestively found in non-human primate calls and in honeybee waggle dances, where it demarcates predicates with one or more “arguments,” such as combinations of calls in monkeys or compass headings set to sun position in honeybees. We show that human language syntax is composed of two layers that parallel these two independently evolved systems: an “E” layer resembling the Type E system of birdsong and an “L” layer providing words. The existence of the “E” and “L” layers can be confirmed using standard linguistic methodology. Each layer, E and L, when considered separately, is characterizable as a finite state system, as observed in several non-human species. When the two systems are put together they interact, yielding the unbounded, non-finite state, hierarchical structure that serves as the hallmark of full-fledged human language syntax. In this way, we account for the appearance of a novel function, language, within a conventional Darwinian framework, along with its apparently unique emergence in a single species. This seems to be slightly in contrast to Berwick, Friederici, Chomsky, Bolhuis (2013), which at times seems to hint that looking at abilities in other species is probably useless because language is so special and specific to humans, but it does share a lot of the same themes.